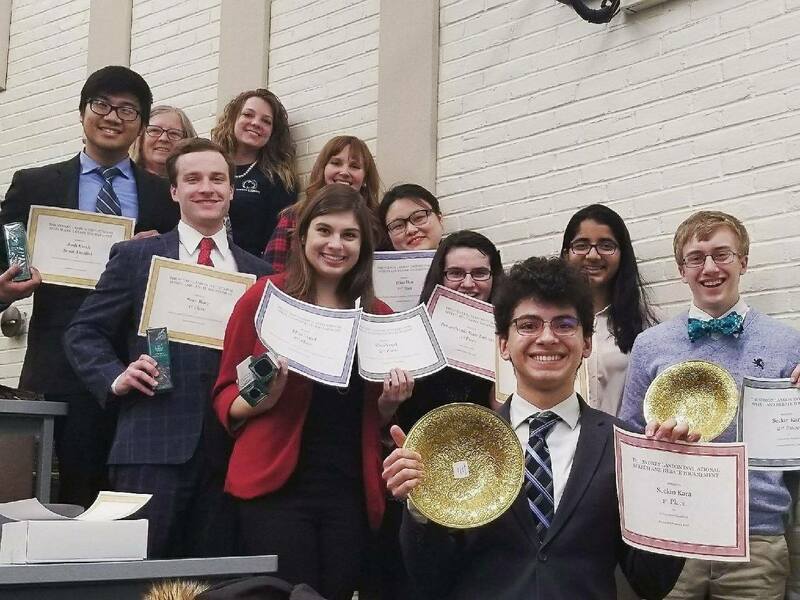 This past weekend the Penn State Speech and Debate Society competed in its first tournament of the semester in Ithaca, NY. The team won first place sweepstakes award based on overall team performance. In addition, the following individuals received awards. Seckin Kara received first place in informative Speaking and Extemporaneous Speaking as well as second place in Impromptu speaking. Sean Reilly received third place in impromptu speaking, qualifying him for the national tournament in April. In addition, Sean was top speaker in IPDA . Chemiaomiao Han was awarded second place speaker in Novice Lincoln Douglas debate. Joshua Kwak reached semifinals in Open Lincoln Douglas debate. Elisa Vogel won second place in Open Lincoln Douglas debate and was awarded second place speaker.